The monastic work of Saint Augustine exceeds amply both the chronological limits of his life as well as the geography of his diocese. He desired few things as much as the flourishing of the common life. During his life he made an effort to spread it abroad and improve it by word, writing and through his disciples. At his death, writes Possidius in his vita, “he left the Church with more than sufficient priests and monasteries full of men and women that lived in perfect chastity.” (8). Not even death was able to stop his great zeal. His words have continued to resound, with brief pauses, down the centuries and even today find favour in the hearts of many. Saint Augustine and the child, by Juan Barba. Parish of Saint Rita. Madrid (Spain). Already as a simple priest he managed to establish a monastery in Carthage. It came about in the year 392 under the protection of Aurelio with the intention, amongst others, to help in the intellectual formation. The monks gathered and sent to Augustine the documentation from the archives and libraries of Carthage, the administrative and cultural capital of Africa. «At the petition of various churches […], Augustine provided some ten holy men, clever and venerable whom I personally had known. In the same way, these bishops, coming from the monastic life, spread abroad God´s Church founding monasteries and increasing the effort to edify through the word of God thus providing ministers for other Churches» (9). These Episcopal and priestly promotions eased the propagation of the Augustinian monastic ideal in many cities of North Africa. Evodio, Severo, Possidius, Profuturo y Fortunato, Bishops, respectively of Uzala, Milevi, Calama (Guelma) and Cirta or Constantino (the last two), establishing clerical monasteries in their Sees, with some of them also establishing monasteries for lay people and virgins. Also Novatus y Benenatus, Bishops of Sitifis (Stif, Algeria) and Simittu (Chemtou, Tunisia), gave life to monasteries in their Episcopal Sees. There is no evidence that they were disciples of Augustine, but they did maintain contact with him. For his part, Alypius founded another monastery in Thagaste and its shadow they helped those founded by Melania the Younger († 439) and her husband Piniano in 410. In Hippo as well as the monasteries already mentioned, there are two others. One was the work of the priest Leporio; the other of the tribune Eleusino and the priest Barnabas. Both priests came from Saint Augustine´s clerical monastery. The Works of the Saint mention other monasteries. They are those of Athanasius and Sebastian, of which we know no more than their existence; and those of Cabrera, which some identify with the namesake of the Balearic archipelago and others with the Italian Capraia, Maritime Caesarea (Cherchell), Adrumeto and Carthage, where there was more than one. Through Victor de Vita we know of the existence of a monastery en Tabarka (Tunisia) around the year 455. Archaeological excavations have discovered the existence of other monasteries in the Tunisian localities of Ammaedara (Haïdra), Thibar, Thelepte (Medinet of Kdima), etc. They have also found remains of probable monasteries in the Algerian sites of Tamda, Henchir Meglaff and Henchir bou Takrematene, in Henchir Oued and other places in Libya. Noël Duval believes that there had been “practically” no Episcopal See without its respective monastery. The connection of these monasteries with Saint Augustine varied very much one from another. The lay monastery in Thagaste and the first two in Hippo were exclusively his work. He brought them into being, and gave them spiritual orientation and a juridical and material structure. Other monasteries, on the contrary, only maintained a very sporadic contact with Augustine. This seems to be the case of those in Cabrera, Adrumeto, Maritime Caesarea, the Thagaste monasteries of Piniano and Melania and some of those in Carthage. More frequent and profound relations would be had with those founded by his disciples. In a certain sense it could be said that they had been born and grown under his benevolent shadow. His friends and disciples did no more than transplant to their Sees the experience they lived in his company. Whilst installing themselves in them not one broke the important contact with Hippo. Augustine continued to be the master and mentor of the group, to whom they turned in difficult moments. The controversies and the Councils facilitated meetings and, as a consequence, the teaching of Augustine. These monasteries did not constitute and type of juridical unity. There were no common rules or legal bonds between them. The congregations had yet to be heard in the Church. They only felt tied together for their origin, the customs of the time and the common acknowledgment of the teaching of Augustine. Apart from that, every monastery was an independent community governing itself with its own particular statutes and Council legislation. Clerical monasteries depended on the diocesan Bishop. Saint Augustine hearing to Saint Ambrose. Santiago Bellido. Valladolid, Spain. A great part of these monasteries disappeared during the reign of Genseric (429-477), that raged particularly against the Bishops and their monasteries. The persecution affected in a special way the monasteries of the Proconsul province.Those of Numidia, Bizacena, and Mauritian escaped more easily from the control of the Vandals, but often fell into the hands of Moors, and peasants exasperated by previous abuses. Huneric (477-484) was even more ferocious. In February of 484 he closed all the Catholic Churches, destroyed their liturgical books, confiscated their goods and deported almost all of the Bishops and “handed over to the Moors the female and male monasteries” (10). Gavigan, who took great note of these events, calculated that between the years 430 and 484 the African Episcopate lost almost a hundred of its members, going from 675 to 584 prelates (11). But the Vandal persecution did not eradicate the African monasteries. Precisely the persecution of 484 shows us the existence of the monasteries of Capsa (Gafsa) and Bigua (Carthage). The first was a mixed clerical-lay monastery of Bizacena, situated in the central south of the actual Tunisia and was inhabited by seven monks: “the deacon Boniface, the sub deacons Severus and Rustico, the abbot Liberatus and the monks Rogatio, Septimus and Maximus. All of them were martyred and were buried in the monastery of Carthage in Bigua. The passio of these martyrs shows the presence of Augustinian resonances in this monastery, or at least in its chronicler, who starts his description with a paragraph of unmistakable Augustinian influence: “In these circumstances there were also imprisoned seven monks who, living the common life, lived together in the monastery, for how good and sweet it is for brothers to live together.” There is also evidence of the existence of monasteries in the island of the archipelago of Kneiss, in the Præsidium Diolele y Adrumeto, as well as the monastery of the Abbot Peter of uncertain location. We cannot affirm anything with certainty about the influence of Saint Augustine in these monasteries. Probably, his writings would not be totally absent in their lives. In the Council of Carthage in the year 525 the Abbot Peter cited some passages from Sermon 356 in defence of the autonomy of his monastery. Another factor of probable Augustinian influence could be the interest that some monks showed for biblical and theological questions. 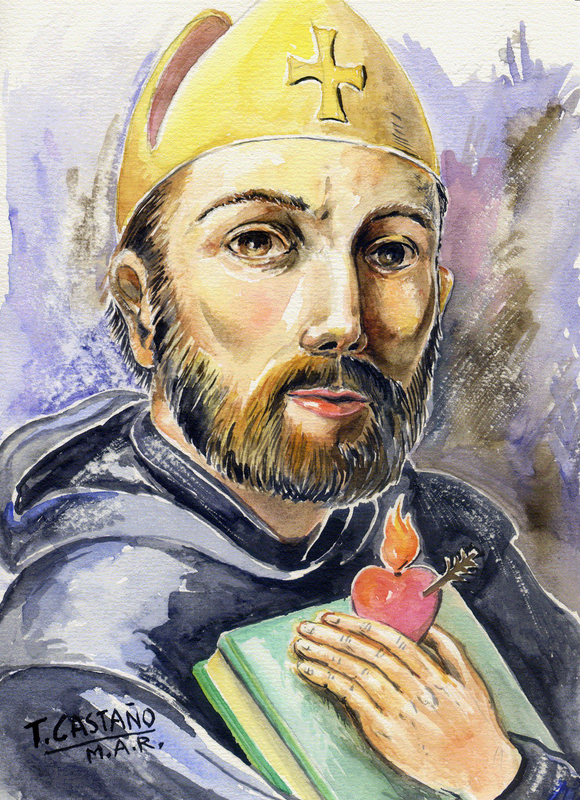 Saint Augustine, by Teresa de Jesús Castaño MAR. With the appearance of Saint Fulgentius (462/8-527/33) the influence of Saint Augustine grew noticeably. It appears already in his own conversion to monasticism, caused by reading the commentary on Psalm 36. Later on he would imitate Augustine in his proselytizing zeal and the yearning for the company of brothers. He also longed for holy leisure and would have desired to spend his life in solitude, given over to contemplation, study and fasting. But he learnt to renounce these pleasures, and led by charity, he embarked upon a multitude of tasks. 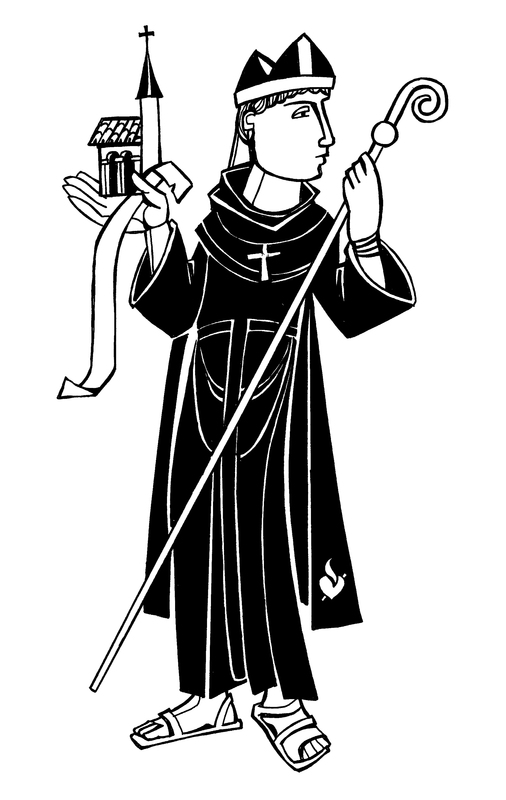 In the same way as Augustine he knew how to harmonize the demands of his monastic vocation with his Episcopal duties. In the second monastery of Cagliari (Sardinia) he established a way of life containing Augustinian resonances: the love of poverty, delicacy with each Religious, preference for intellectual work. But Saint Augustine was not the only source of his monastic ideas. 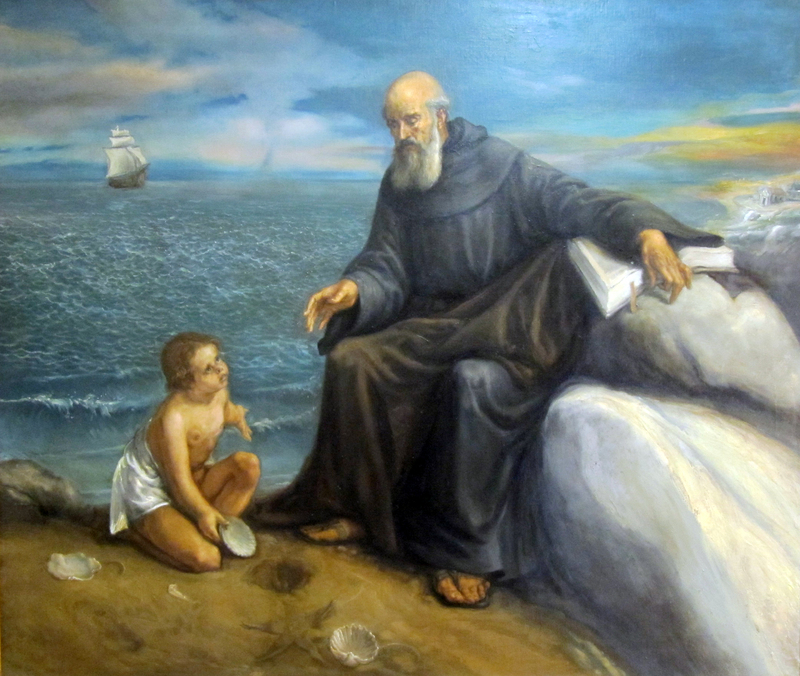 In about 496 he came in contact with the works of Casiano, which inflamed in him a great admiration for the Fathers of the Desert and strengthened his love for asceticism. His biographer Ferrando remembers also that, against the prescript of Augustine in his Rule (5, 9-11), he used to deny necessary things to his monks who asked for them in advance. His life documents the existence of ten monasteries situated in Africa, Sicily and Sardinia: those of the Bishop Faustus and the Abbot Felix, both situated at some twenty kilometers west of Capsa; that of Silvestre, situated it seems on the border coast which leads to Iunci (Younga) and to Ruspe, Mididi (Medded), Ruspe (Rosfa), Cagliari (2) and the insulars of the Kneiss archipelago and the Chilmi reef, on the Island of Circina (Kerkenna). With the death of Fulgentius the darkness returned to African monasticism, and the efforts of archeologists and epigraphists have yet been able to penetrate them. Some allusions in Church Councils and isolated letters testify to the survival of monasticism in Africa during the sixth century and even permitting the localization of some monasteries. The picture changes in the seventh century, of which there is no literary documentation whatsoever on African monasticism of the Latin tradition. The few known documents refer to the Greek or Byzantine monasticism. As well as the monasteries previously mentioned, when talking of Saint Fulgentius the literature of the sixth century remembers some other important figures. The Council of Carthage in 525 mentions Adrumeto, that of the Abbot Peter, Leptis Minor (Lemta), Ruspe and Baccense or Banense, situated it seems not far from Ruspe. Of those of Ruspe and the Abbot Peter they will again become important nine years later in the other Council of Carthage. The second monastery would maybe still exist in the year 560. Up until this time Cassiodorus mentions a monastery of the Abbot Peter situated in the Tripolitania, which maybe was the one we are referring to. Also there is a fair amount of convincing epigraphic evidence of the existence of a monastery dedicated to St. Stephen, situated it seems, in Kairouan (Tunisia). In a letter of 550 the Pope Vigilius mentions the monastery Gilitano, situated near to Henchir Frass (Tunisia), and accuses the former Abbot Felix of not admitting the condemnation of the Three Chapters – the Iudicatum of the 11th of April of 548 – and of protesting against it. Felix, deported to the Tebiada by the fifth Ecumenical Council, died in exile in the year 550. It is not known if the monastery outlasted its Abbot. In the year 597 Saint Gregory the Great, in a letter to Bishop Donatus of Carthage, talks of the monastery of the Abbot Cumquodeus, who had journeyed to Rome in search of support against the restless and stray monks that avoided discipline and punishment by escaping from the monastery. Nunctus and Donatus directed both monasteries up until the year 597, in which political insecurity and social disturbances drove them to emigrate to Spain. 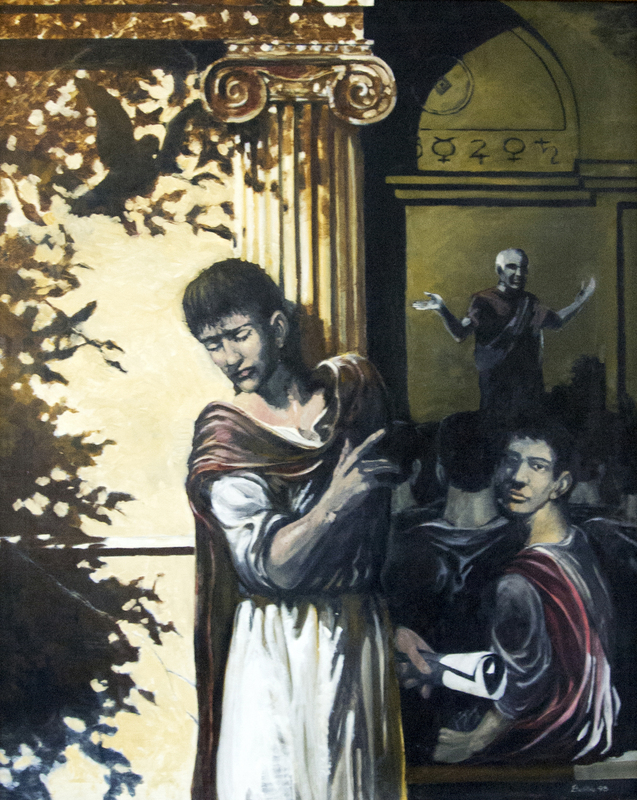 Nunctus established himself in Merida, where after a short time he died at the hands of his own followers. Donatus disembarked in the Levantine beaches, and with some seventy monks and a rich library, founded the monastery Servitano erecting it, so it seems, in the actual province of Cuenca. His successor, Eutropio, acted in the important III Council of Toledo (589) and was Bishop of Valencia. It would not be impossible that one of the manuscripts of Donatus would have contained the Rule of Saint Augustine. This presence would explain the popularity in Visgothic Spain and the Spanish origin of two of the three manuscripts that have been passed on to us. One group contains the Præceptum or masculine version of the Rule and has its principal expression in the manuscript Monacensis 28118 from the eleventh century, in which Saint Benedict of Aniano reunited the principal monastic Rules of antiquity. The other, represented by the manuscript Scorialensis a. I 13, written in La Rioja (Spain) in the tenth century, offers the female text of the Rule. These are the monasteries whose existence is recognized in the literary documents. But there is no doubt that would have been many others. They emerged in the flourishing of the Christian life during these two centuries and the same cited documents, and they are confirmed by archaeology and epigraphy. With a certain grade of probability it can be proved the existence of monasteries in the actual Algerian cities of Timgad and Ksiba, in the Tunisian cities of Kairouan and Henchir Fellous, and on an island close to Ras Younga, in the south of Ruspe. Other African monks settled in Italy and France. In Italy they have been given the names of Arnobius the Younger, Gaudioso y Habetdeus. Arnobius lived in Rome halfway through the fifth century and participated actively in the theological controversies of the time. More problematic seems the African origin of the other two who acted in Naples. Genadio of Marseilles gives notice of Julian Pomerio, an African monk near to Arles at the end of the fifth century and the beginning of the sixth. He wrote three books on The Contemplative Life, well regarded in the Middle Ages, in which he shows himself to be very knowledgeable about Saint Augustine and the treatise De virginibus instituendis, which sadly has been lost. 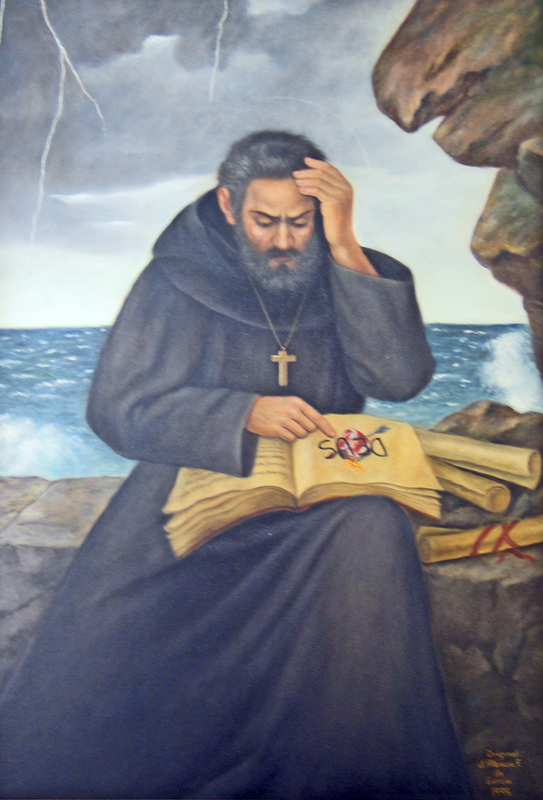 At the end of the fifth century he was Master of Saint Caesarea, a fact that could explain the fervent Augustinianism in the two monastic Rules of Arelatense. (8) Ibid 31: pl 32, 64. (9) Ibid 11: pl 32, 42. (10) Incerti auctoris passio septem monachorum 2: csel 7, 109. (11) J. Gavigan, De vita monastica in Africa, 9-10.